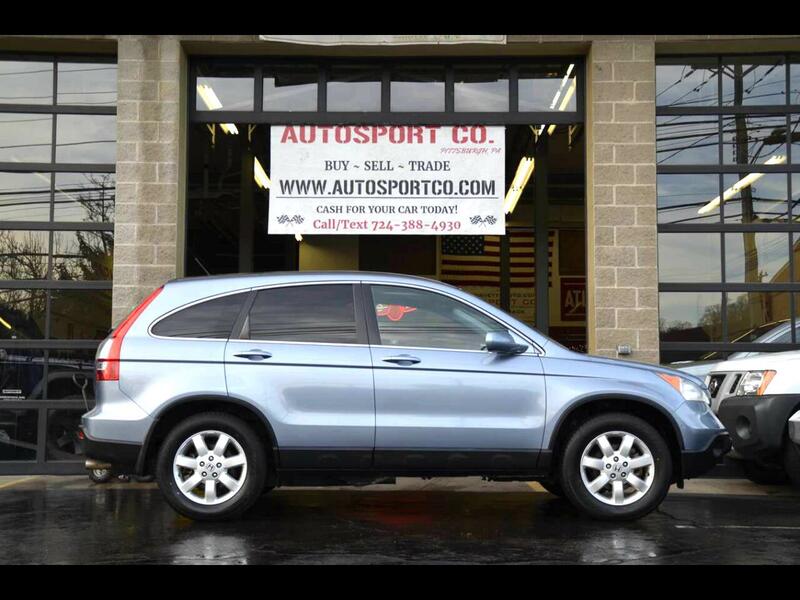 Used 2007 Honda CR-V EX-L 4WD AT for Sale in Indiana PA 15701 AutoSport Co.
Wow! What a find!! Offered for sale is a Clean Carfax - 1 Owner, All Wheel Drive 2007 Honda CR-V EX-L with only 30k miles and Brand New Tires!! This 2007 Honda CR-V EX-L 4x4, runs out great and maintains great fuel mileage making this a perfect year round SUV. The light blue paint shows great with minimal wear present, and is a color that is easy to keep clean likewise the wheels show great and just had new tires installed.! Throughout the smoke-free light beige leather interior, there is very minimal wear present and it has a nice set of carpet mats installed. In addition, this 2007 Honda CR-V EX-L with only 30k miles is equipped with options such as: Clean Carfax, All Wheel Drive, Brand New Tires, Heated Leather Seats, Power Sunroof, Premium Wheels, AM/FM/CD/AUX Player, Power Windows, Power Locks, Original Owners Manuals, Current PA Inspections and much more!! For more information on this 1 Owner, 2007 Honda CR-V EX-L with only 30K miles feel free to call/text Anthony at 724-388-4930. This car is located at our Pittsburgh location; we accept trades and can help with financing options! Thank you for your interest!